I have seen only a few posts on this challenge, recently viewed it on Sara @ the Bibliophagist. I think this will become another regular post on my blog, perhaps for Friday’s :). This Week is the letter – B. Bound to silver – Josie Jaffrey. Black Bullet – L.D. Rose. Bared to you – Sylvia Day. Books on my TBR starting with – B. Bad Boy Brother – Chance Carter. Blind Attraction – Eden Summers. Billionaires Inheritance Bride – Amanda Horton. Blood and Bone – CC Wood. Because of him – Terrie Laine. Have you read anything that’s on my TBR? Which books should I read first? Do you agree or disagree with my favourites? Let’s talk in the comments! 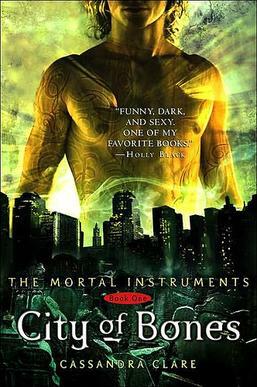 My sister Anastasia read the city of bones books over the summer and really want to tell you all what she thought so I did a little interview with her with a few Bloopers :p Because that’s just fun! So instead of writing a review I thought I would just link the YouTube video for you all to watch….. I hope you all like it there is a link to my sisters Twitter account in the description box where you can ask her as many questions as you like and she re tweets fast, and always posts about new films she is definitely into fantasy. Don’t forget to follow me on twitter too and now FACEBOOK!!! I have recently opened a new Facebook profile for all you lovely people to ask me questions and make requests as I never know what you would all like to know about me or what you would like me to look at and review :). There is a link to my Facebook and twitter page on the right hand side of my blog so please get clicking.